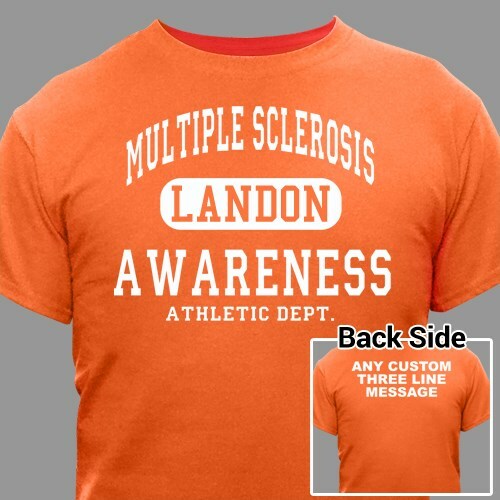 Support your loved one with this great Personalized MultipleSclerosis Awareness T-Shirt. Sport one of our MS t-shirts at any Multiple Sclerosis Walk Event to help show your support and raise awareness. Everything was great. The quality of the shirt, the fit and the personalization.